Summer for me is all about the fun makeup. Now that I have finished work until September (perks of working in a school) its time for me to experiment and play around with all things beauty! 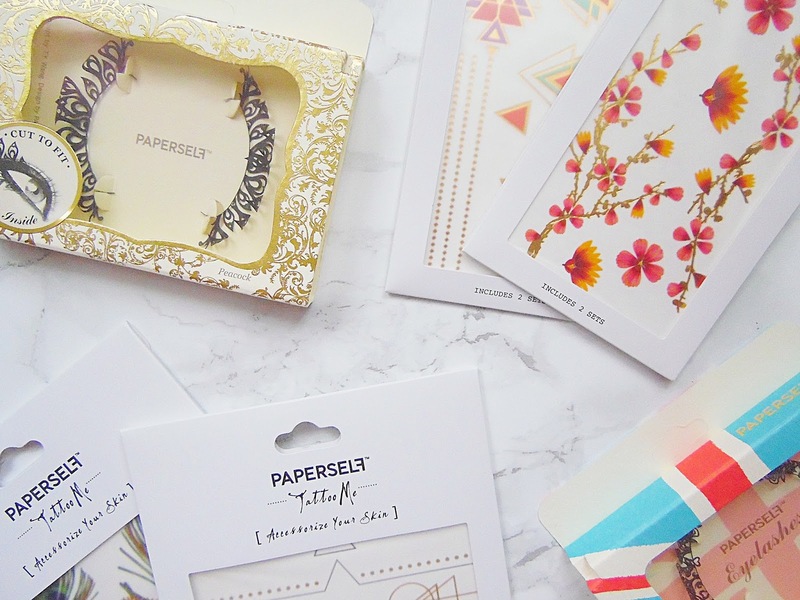 I had only heard of Paperself recently and I have been really impressed with their products so far - I can't wait to try out more soon! 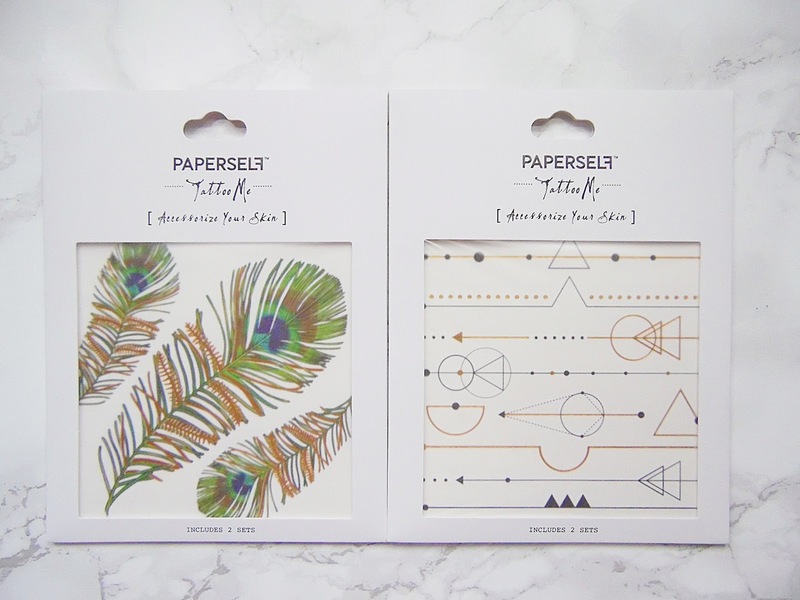 Paperself has a great range of paper lashes and temporary tattoos. Paper Lashes are something I have never tried out before or heard of really but these are incredible. These paper lashes would be great for a festival or fancy dress party for a little something different. All of the paper lashes available from Paperself have so much detail to them. I have two pairs, the Rose and also the Peacock lashes. If these aren't something you would wear normally, you could cut the strip into sections and create even more looks with each set of lashes. These paper lashes are incredibly lightweight and surprisingly don't feel uncomfortable on the lash line. I perfer to use these lashes in sections and use them on the outter lash line so they aren't so intense. If I was going to a festival then I would wear the full strip - I love doing fun makeup for festivals! My favourite out of the two sets I have are the Rose lashes. There is so many attention to detail with these lashes and I couldn't stop staring at them. These lashes look grogeous on the outer corners in sections to add a little something different to an eye look. 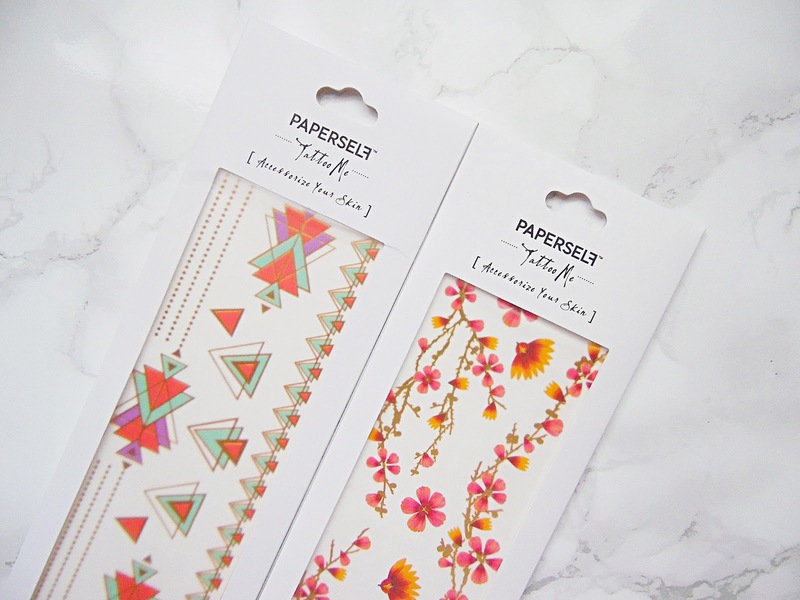 I have been obsessed with the temporary tattoos from Paperself! Paperself have so many different designs of tattoos and my basket is already full on the website! Each of the sets includes two sheets which I think is brilliant as you get even more for your money. I have been wearing them all recently and get so many compliments on them which is lovely. I have four different styles, Constellations, Peacock Feather, Pink Blossoms and Deco Deco. These last for around 2-4 days and from my experience with these tattoos I would say that they last for three days before they start to come off. I have always wanted a tattoo but I am too much of a baby to deal with the pain so these are the best next thing for me! They take around 30 seconds to apply and you are good to go! The Peacock Feather ones are my favourite and I have actually worn the largest one on the top of my ankle and I have been loving how it looks. The Constellation style are what I have been wearing on my wrists - it looks like I have been wearing bracelets without having to remember to put any on in the morning. I love the metallic elements to the sets which sets them apart from any other temporary tattoos I have used before. These would be pefect for festivals as well. 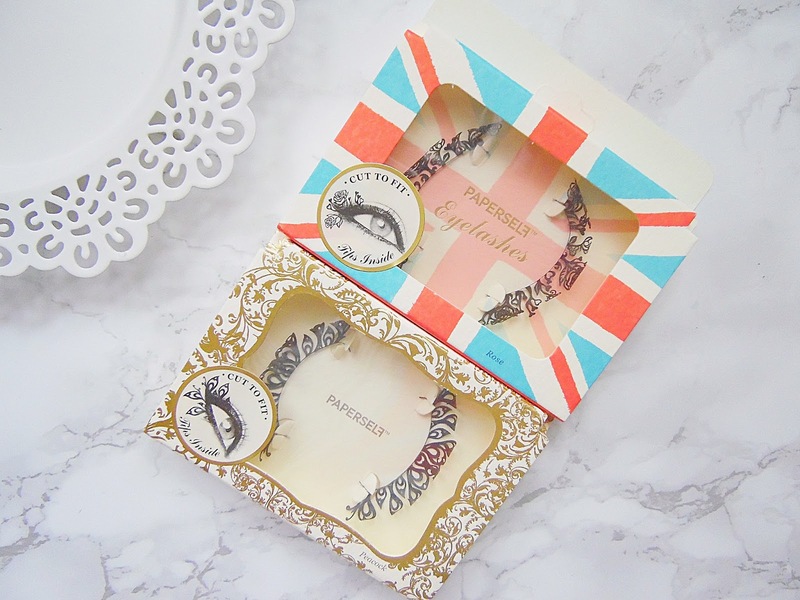 You can purchase these Paper Lashes and Tattoos from the Paperself website - HERE.